Search Pitt Technologies Available for Licensing. Click on the photo to try it out. Nearly every day of the year a Pitt innovator submits a new invention disclosure to the Innovation Institute based on discoveries made in his/her department or lab. Pitt set new records for technology licensing in fiscal 2018, with 162 licenses and options executed, 23 of which were for new startups. Could an impactful Pitt technology be your next business opportunity? The University of Pittsburgh Innovation Institute is making it easier for industry research and business development professionals, investors and entrepreneurs seeking new startup opportunities to search its database of innovations available for licensing. A new digital search platform developed by New York City-based Resolute Innovation employs a machine learning artificial intelligence platform to analyze Pitt’s intellectual property asset portfolio and organize technologies in a manner that allows users find relevant results in mere seconds. Pitt is among the first handful of university technology transfer departments to deploy the Resolute platform. 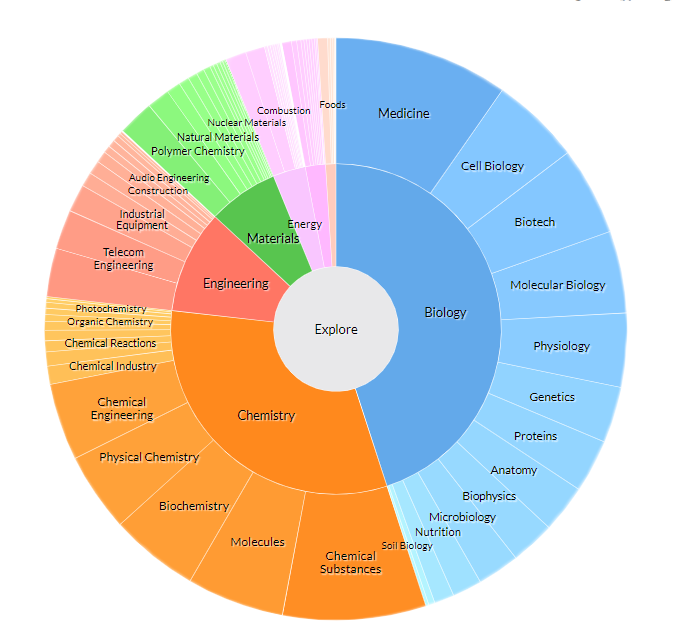 The platform’s sunburst graphical interface makes searching the University’s portfolio of more than 500 available innovations intuitive and efficient. Users also have the option of toggling to a list format. A right-hand navigation bar also allows visitors to search by tagged terms or the names of specific Pitt inventors. Visitors can set up alerts for specific keywords or inventors and have new technologies e-mailed to them. More than two dozen Pitt innovator teams and discuss their inventions that could be your next investment or business opportunity at the annual Pitt Innovation Showcase on Wednesday, October 17, 2018, from 5-7 p.m. at Alumni Hall on the Pitt campus. Click here to learn more and register.